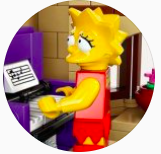 @Huw or @drdavewatford , I think you should move this thread to the marketplace category. This wouldn't fall under the collecting category? They are lovely, I saw the images on BL. 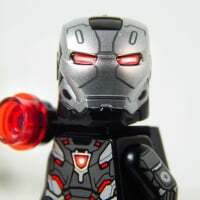 It's a shame Lego doesn't make similar ones these days, and sell them. 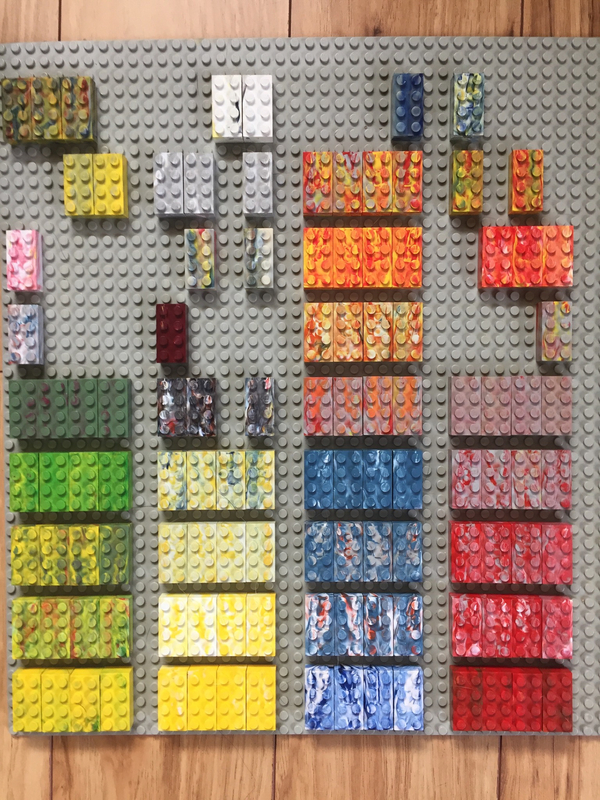 In The Secret World of LEGO, they address these multicolored bricks. They talk about it around 14:15. Oh, don't worry, all the pictures are his! 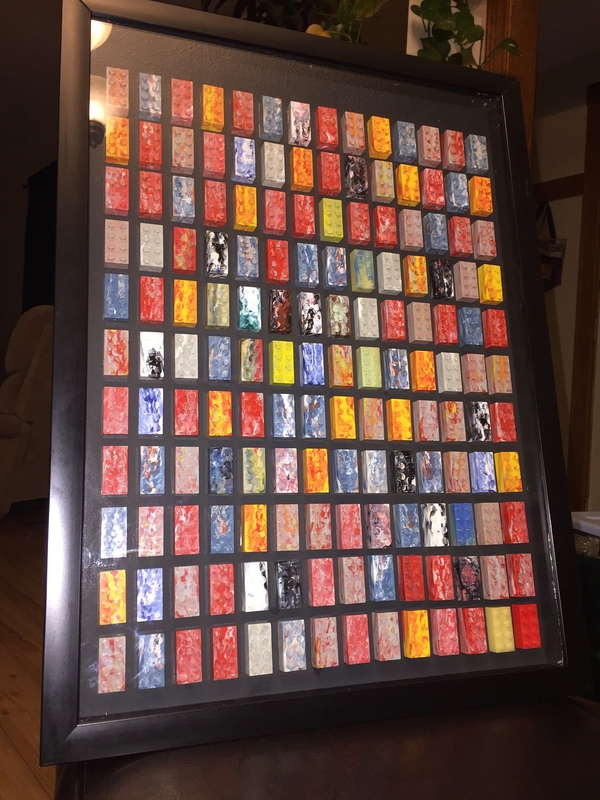 Thanks for the link, I just watched the part about the marbled bricks. Very interesting but a shame those marbled bricks are thrown out. Many of the marbled bricks from Grangemouth have several colors which differ them from the ones that occur when colors are switched. 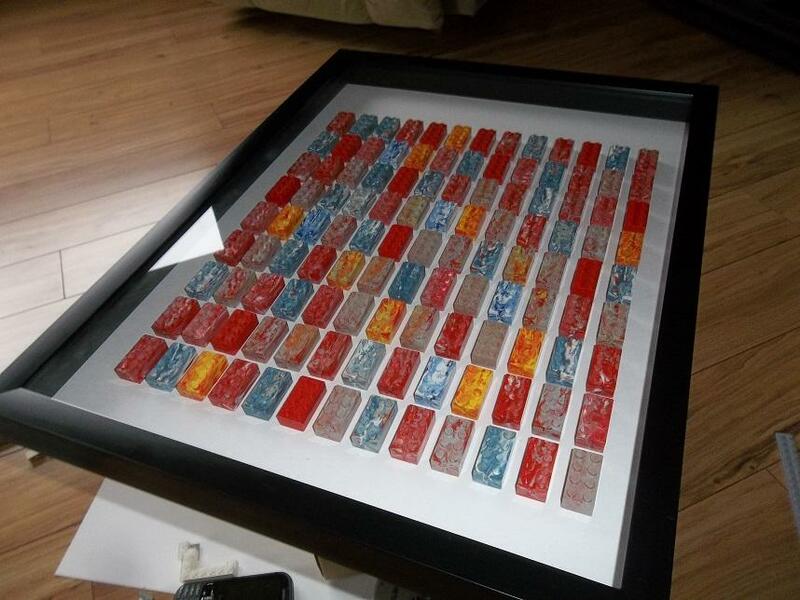 The Grangemouth Lego mould was taken away in 1978 so the bricks are around 40 years old now. Many were no doubt tossed out but there are probably others that have been stored away and never brought out. By the way if anybody is interested in knowing more about these I would be happy to share what we know. Besides the marbled bricks there probably is a good amount of solid bricks too. Hi, This is really interesting I just live down the road from Grangemouth and was never aware that somewhere so local had produced something like this. How long did they get produced for and does that company still exist? "Produced" is misleading - these were non-production tests of the plastic (they supplied Wrexham) at the end of the 70s. The company was taken over about ten years later. These were probably made for about eight years or so. The older stash that was found was guessed at to have been made in the late 60s/early 70s and had four brick positions (8,9,o-10, o-11). 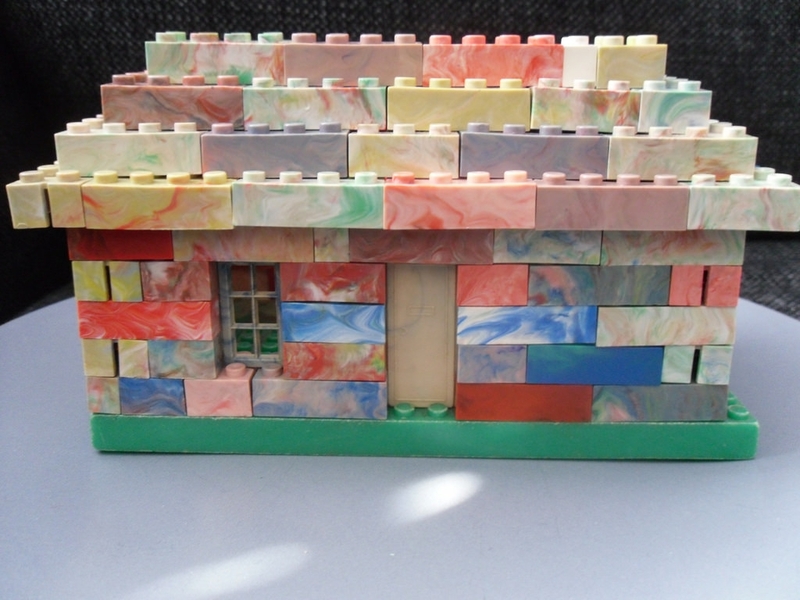 The mould was taken away in 1978 after a Lego rep discovered children playing with the bricks. The bricks that were made in 1977/78 have four mould positions, F-1 through F-4. Found some information from an ex Courtauld's employee who worked at one of their plants in Wrexham Wales. 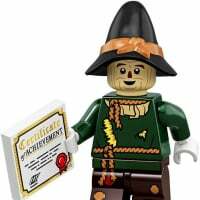 He started working there in 1979, and mentioned that LEGO part production had already ended just before he started there. 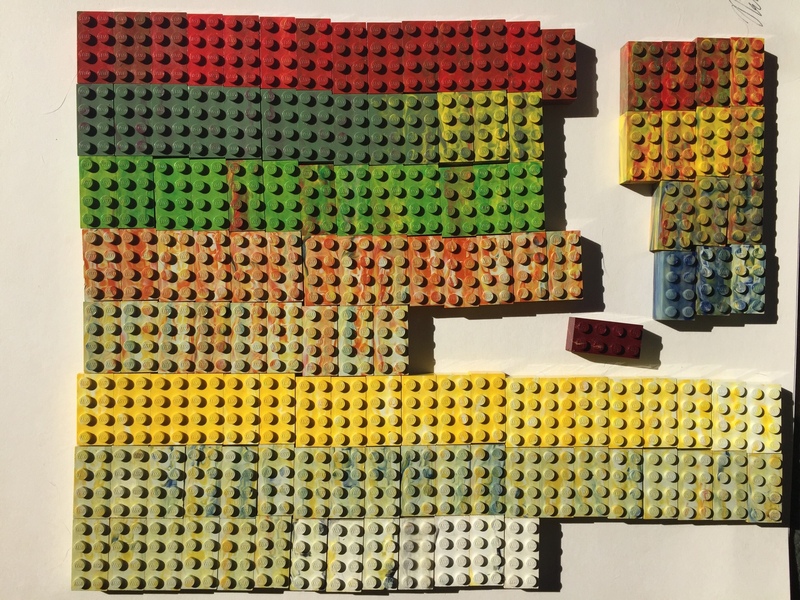 It seems that circa 1978 the production of LEGO parts was ended at Wrexham, and the parts started being imported from Denmark by about 1979... to be packaged as sets from another Courtauld's location in Wrexham. This continued until 1992 when TLG purchased the license back from Courtauld's. So it is very possible that by 1978 there was no longer any need for additional ABS testing via the 2x4 LEGO mold. 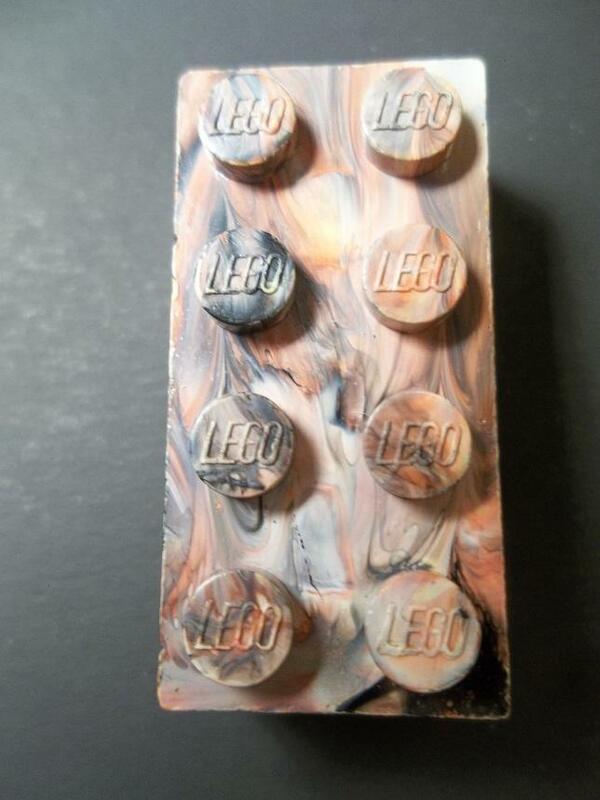 It may be as simple as some Borg Warner employees taking leftover ABS plastic and just mixing it into marbled bricks before TLG asked for the mold back.... and distributing it to children in the Grangemouth area. 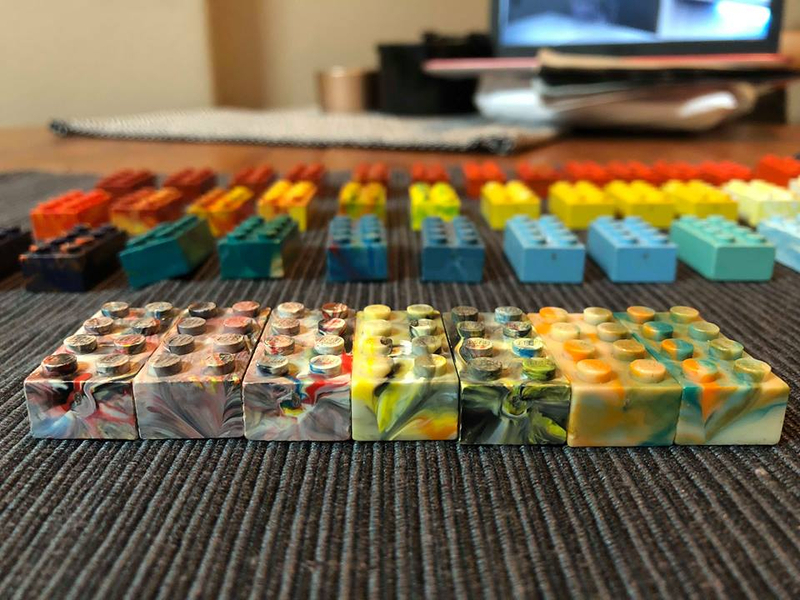 Need to get some more anecdotal evidence from former employees... but these beautiful bricks may have just been produced after (or towards the end of) the testing contract ended. 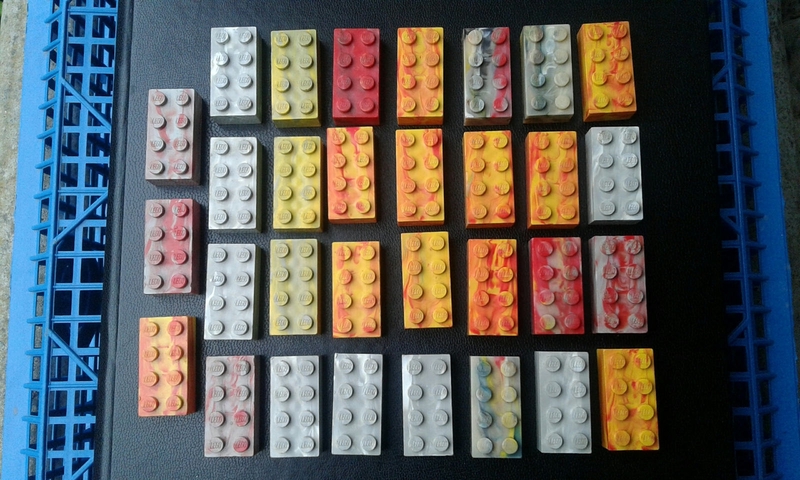 On further reflection... it is possible that the marbled Grangemouth bricks may have been made over a longer period than just 1978... and the 2 actions (production of marbled bricks) and termination of LEGO parts production by British LEGO Ltd. in 1978 may have been a coincidence that they happened at the same time. More info needs to be found. Hi i worked in the plant and served my apprenticeship there, unfortunatley I did not manage to get hold of a multi brick during my career there, if you know of anyone who can sell me a single mutli coloured brick that would be great, its for my 6 year old son who is an avid lego fan and I have told him the story of the lego test mould in Grangemouth and the workers especially at xmas used to run of bin bags full of multi coloured lego bricks in the 70's/80's. 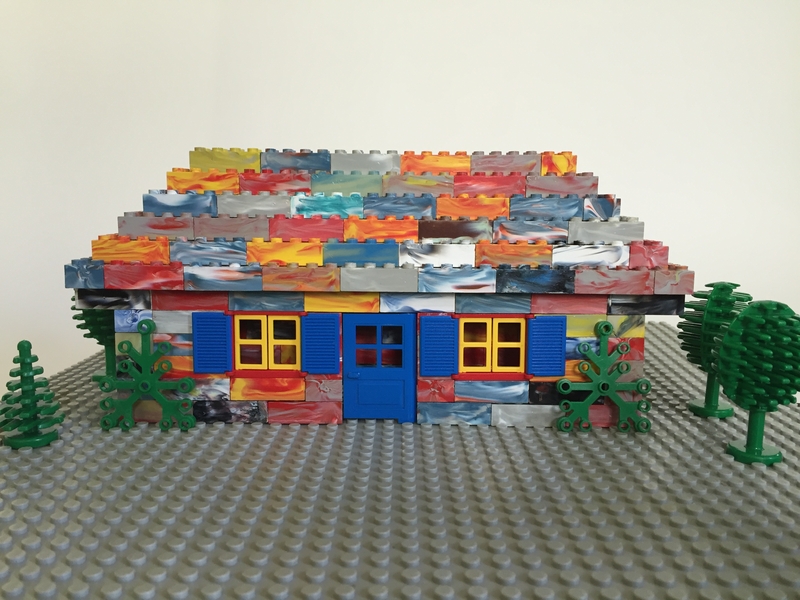 i was told that a collector went into a lego shop with a multi coloured brick and asked where he could get more, the shop inspected the brick and traced it to Borg Warner in Grangemouth and removed the mould in question! Would these be expensive to mass produce? They're really pretty. I mean these bricks are nice but imagine tile pieces with these marble designs. Would be great for floor and counters in modualars. 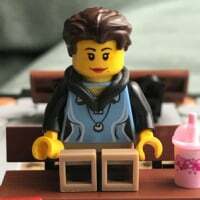 Definitely a Bricklink sensation, no? 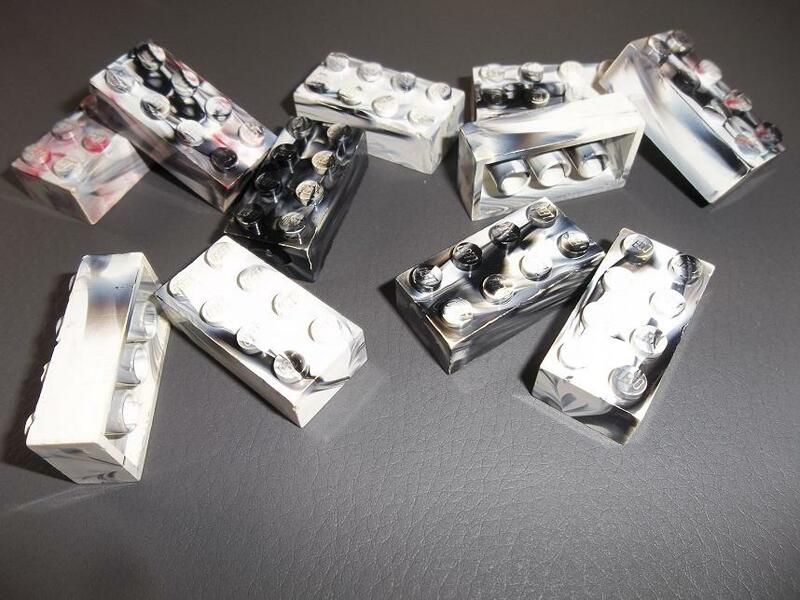 How come Lego doesn't mass produce bricks like this today--they look great! These days, they probably can't. Mixing many colours of ABS granules is one thing; trying to do it with with dyes doesn't work in the same way. What's the price running on these? Not a 2 x 4 collector but one of them would be neat to have. It's over $50 for a brick I believe. That's if you can find a seller. Those are beautiful. And I thought my stacks of solid 2x4's looked cool. I'd love to see TLG make bricks like this! I think they might go over well! That structure NateF built is really cool! Realistically we likely won't see it happen. 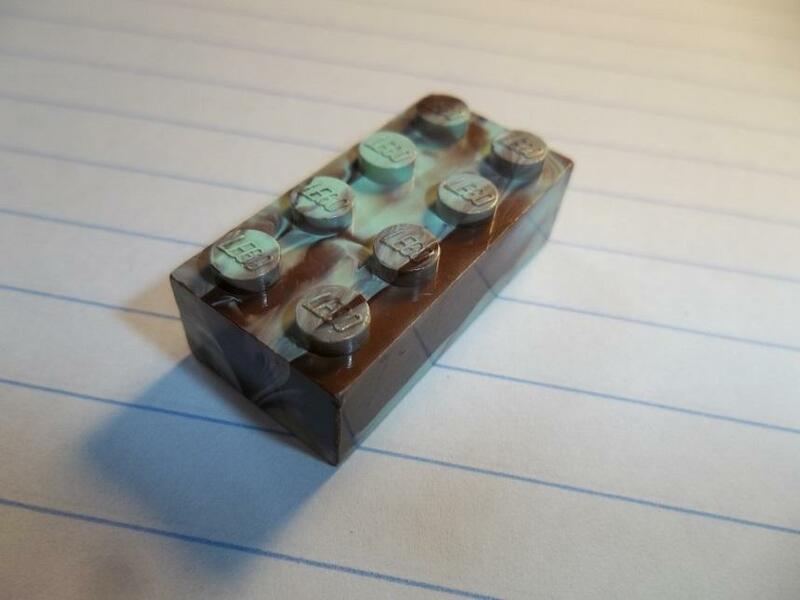 It would be a nice addition to the plain regular bricks. Well there isn't a lot of them to begin with but they are generally divided up by the color combinations (yellow/red, white/blue, gray/white, etc). 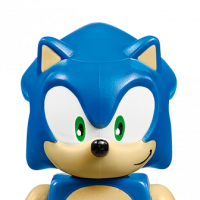 It's hard enough to get one brick and so most collectors who have these are content to collect one example of each of the major color combinations. 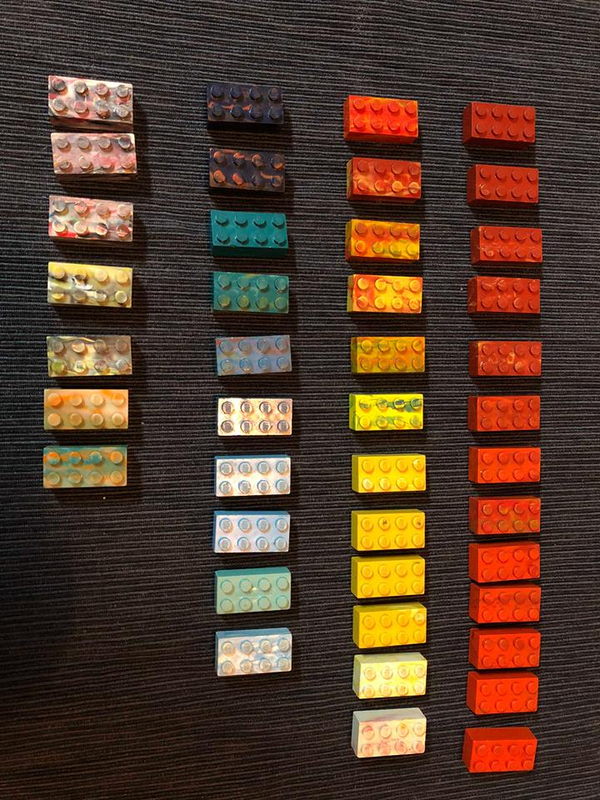 Next to my collection, Phillip has the next largest variety of Grangemouth Lego bricks. That's some collection. Not something I want to get involved in. I have enough issues. Out of curiousity, where does one find these kinds of bricks? They can be purchased from sellers but to find them “in the wild” you would probably be looking in a relatively small area. Grangemouth bricks were made in Scotland and many have surfaced near Edinburgh and Glasgow although there are bricks that surface outside of the region. They were made in the 70s so check lots with older bricks. The ones in the photo above were found in a Lego lot at a thrift/charity store and the same lot had more modern bricks such as technic too. If anyone is interested in these, there are a few lots on eBay from a seller in the UK. 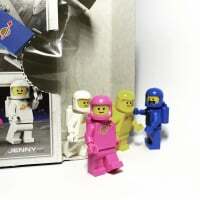 Just do a search of grangemouth lego. I think they're beautiful bricks but can't justify the purchase in my mind, approx 200 for 4 bricks. Also if anyone is interested I have some spare bricks from the new lot. Let me know which one you want. 6, 7, and 12 are gone. not sure if the images are attaching via my phone. Will repost if not!